by gillian claire: Sharing a Few Summer PR Packages! The world of blogging is a weird and wonderful place that I've become part of within the past 6 (eek!) years. Being an Influencer is kind of a misunderstood place to be right now and I'm constantly analyzing and figuring out my feelings about it and the direction I want to go. Some people think that bloggers will just do anything for free stuff when in reality there is a lot more behind blogging than that for a lot of us. Free stuff can certainly be a perk but simply trying to get a ton of free products isn't really the end goal in blogging. I turn down offers constantly from companies that want to send me things. I've been focusing my efforts more on paid opportunities that allow me to put in my time and creativity with brands that I admire while being able to support my family! 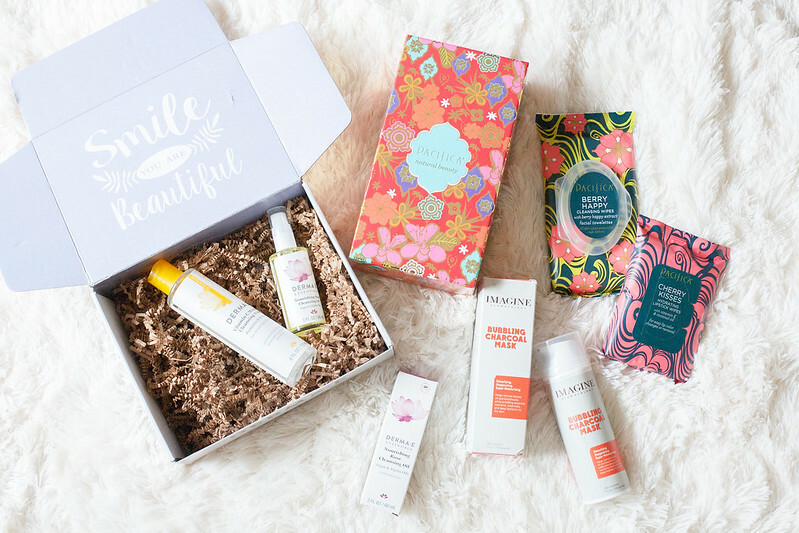 Having said that, sometimes I do get boxes of "free stuff" which gives me a chance to try out new products and share them with you all - and yes, it's fun! 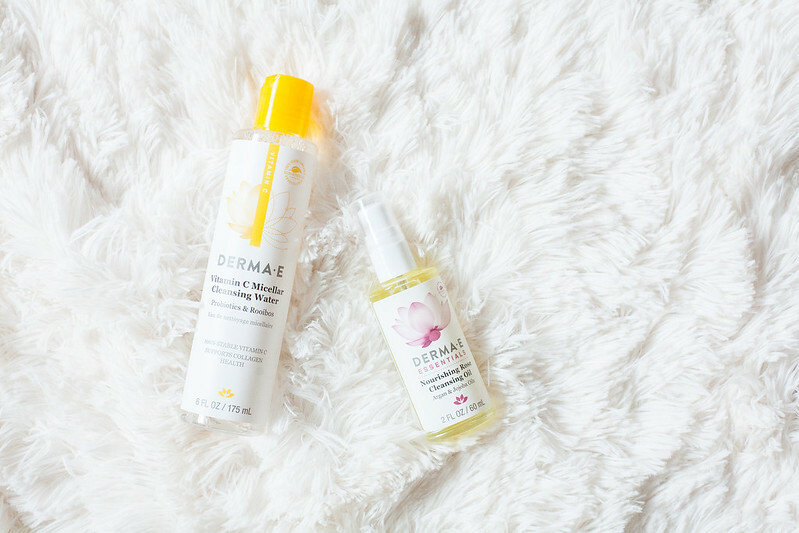 You may remember Imagine Dermatology from this skincare post where I talked about some of their anti-aging products that I tried. 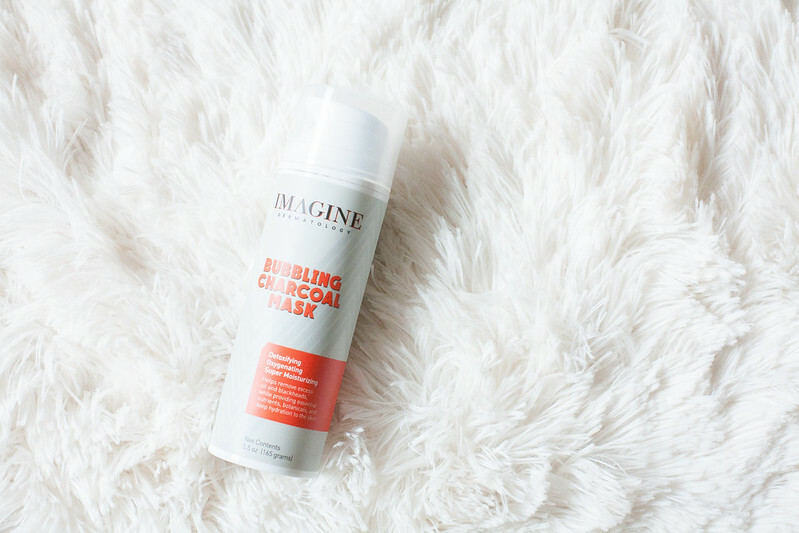 They sent along this bubbling charcoal mask recently and you guys, I AM OBSESSED WITH IT. I'm not kidding; this is a staple in my skincare now. It tingles and feels extremely relaxing. Also, it actually works + pulls out blackheads like you wouldn't believe. I will definitely repurchase this, can't live without it! 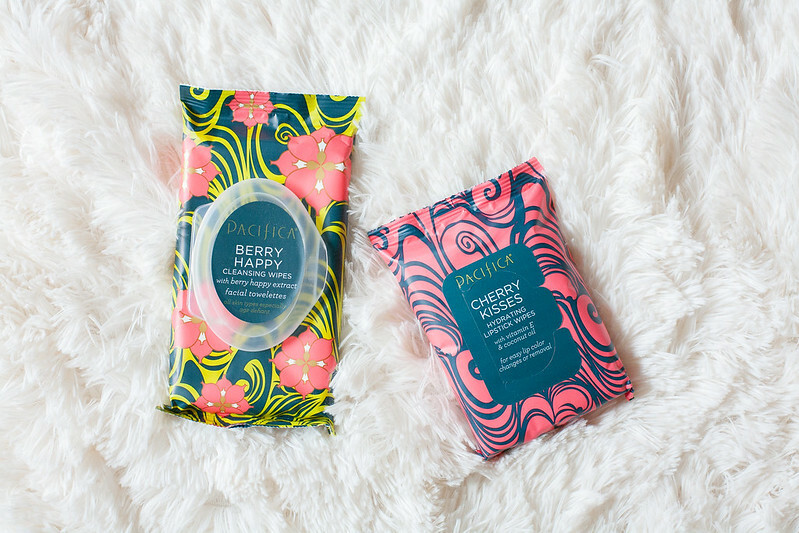 I was so excited to receive a PR package from Pacifica, because well, Pacifica- duh! The box is the prettiest thing I've ever seen and I feel like I need to keep it forever. They sent along a couple packs of their new cleansing wipes. I am a big believer in removing your makeup at night and I actually like to double or triple cleanse my face to really get everything off. I love to have wipes on hand though for nights that I'm just too tired for my normal skincare routine. I usually use baby wipes so these seemed extra luxurious + they are really reasonably priced at $6 each! To be honest, the face wipes stung a little. I have been having some seriously sensitive skin lately though so this may be a personal problem? They smelled fruity and fun and of course the packaging was adorable. I was also pumped to receive something from Derma E, another totally awesome company that defines themselves as "Ethical Skincare". Derma E sent along two of their cleansing products. The Vitamin C Micellar Cleansing Water, again, stung my face! What is the deal with my sensitive skin right now guys? Micellar water is the bomb though and I've used another one happily in the past. So there ya go, a few favorite packages that I've received over the past few months! Did you enjoy seeing what was inside? Also, I'd love to know if you use any of these products or brands!